Art Matthews teaches piano, keyboard and music theory in the ZOEN. He enjoys jazz, pop, blues, rock and classical music and is always thinking of new ways to have fun with his students! Create some new melodies to existing well known songs and Compose some songs of your own. In creating new melodies for existing songs, you might keep the existing chord progression intact, strip away the original melody and replace it with your own. Share your creations with your teacher. Compose something of your own from scratch - a melody only, or a chord progression only, or a song with both. Don't be shy! Teachers love creativity. Duets are lots of fun and they can be done with your teacher, a friend, or your computer. I remember having fun playing "Heart and Soul" as a duet with my friends when I was a kid. I still play it with some of my current students too! In the video clip below, I've simulated a duet between a beginner student and teacher (both played by me) playing "Down at Papa Joe's". Playing by Ear is learning and playing songs by listening to them only. No sheet music. What do you do if you don't have the sheet music for a song you want to learn? You get an audio file or a YouTube link for it, then learn to play it by ear! This is a huge source of fun when you learn how to do it. Ask your music teacher to include some type of organized ear training studies in your music lessons. Fake Books are lots of fun because they let you see and study songs in their most basic form - melody and chords only. By using this style of sheet music, you'll learn about chords and start playing your favorite tunes in a very short amount of time. Follow this link to sheetmusicplus.com then use their on-site search engine to easily find fake books for your favorite musical genre. Games by definition almost guarantee that some fun is going to be had. I love it when my students bring a game to class or give me a link to a cool game they've found. Here are some links to a few games and activities I enjoy: Piano Pooch / Frere Jacques / Rhythms in the House / Don't Worry, Be Happy / Just Enough. A Google search string like "online music education games" will return so many results that you won't be able to play them all. It would be great if you'd come back and share some of your game discoveries with us here in the ZOEN community. Applets are great learning tools that combine learning and fun in very innovative ways. Just like games, applets will bring fun to your class and at-home study too! Here are some direct links to three of my favorite applet pages Music Theory / Teoria / E Music Theory. Bring your own songs - Ask your teacher to help you play your favorite songs. It's always fun to work on and learn songs you know and like. You might consider focusing on learning the melody of only one song at a time before you move on to adding things like the bass and harmony. Clapping rhythms is a fun way to work on your music reading skills. I teach a class that I call "Rhythm-a-ning" - clapping and tapping rhythms is the only thing we do in that class. Many of my students say they love that class because it's so effective and fun! Try it! If you've got more ideas to make music lessons fun, I'd love to hear them. Please post your ideas in the comments below! Are you considering taking music lessons? A recent survey commissioned by the National Association of Music Merchants (NAMM) shows that you’re not alone! In 2012, 30% of the U.S. population over the age of 8 is actively learning to sing or play a musical instrument! Perhaps the most important factor leading to success and enjoyment with music is finding the right music teacher. While some teachers accept students of all ages and skill levels, others specialize in teaching either beginners or advanced students. Some focus on specific musical styles, and still others specialize in “niche” musical instruments like the banjo or ukulele. What are my goals in learning to play music? Do I want to perform, audition for shows, play at an open mic night, play for family, or just explore music for myself? What kind of music (style, songs, genre, artists, instruments) do I love the most? What is my budget? Most quality music teachers charge between $20 and $35 for a 30-minute private lesson. How much time can I spend practicing? An hour daily? A couple of hours weekly? Use the internet (Google, Yahoo, Bing!) to search for music teachers. Search phrases like “online music lessons”, “find music teacher,” “music instructors”, “private music lessons”, or “private music tutor” yield a wealth of information and relevant results. Substitute your instrument of choice for “music” in these phrases to get more focused results. Post questions to your social media network— this is a great way to ask friends and family for recommendations based on their experiences. Look for online forums or listings that allow you to pose questions to teachers. Many useful forums function like online 'communities' that allow contributors and posters to rate responses, provide feedback and start discussion threads. Teachers with high ratings and good reviews from would most likely be good choices! Find teachers who offer free trial lessons. Most online teachers offer trial lessons to help students get a preview of their teaching style and also to familiarize themselves with prospective students. Take a trial lesson from 2 or 3 teachers with varying styles. Was I energized and excited about music and learning? Does the teacher know and love the same music as me? Did the teacher listen to me and understand my goals and objectives? Did the teacher clearly communicate to me his/her expectations? Great teachers guide and inspire, and using a structured process to find the right teacher will help get you off to a great start. Know your goals, search online and read blogs, forums, listings and articles, and finally, take trial lessons with at least 2 or 3 teachers. Have you found a great teacher? We'd love to hear your story. We might even feature it on this blog! Congratulations to our 2013 Musical Bucket List Contest winners: Sean Thegen & Raymond Lindsay! The Well Tempered Clavier: at least one prelude! For their submissions (above), Sean and Raymond received $100 each for online music lessons from The ZOEN. We wish them both the best in their efforts to tackle their musical bucket lists! Check out all of the Bucket List submissions on Pinterest. Thanks to everyone who participated! Be sure to look for more opportunities to win big on The ZOEN by keeping up with our blog. 1966: Singer David Jones changes his last name to Bowie in order to avoid confusion with the Monkees' Davy Jones. 1973: Pink Floyd begin recording their legendary Dark Side of the Moon album. 1996: Oasis went to No.1 on the UK album chart with ‘(What’s The Story) Morning Glory’, the group’s second UK No.1 spent a total of 145 week’s on the chart. 1976: Peter Frampton, Frampton Comes Alive! In a previous post, The ZOEN interviewed video game composer Jack Wall whose work appears in the blockbuster release, Call of Duty: Black Ops II. The interview discussed how music is crucial to conveying the personality of increasingly complex video game characters. Consider the beautiful Nicaraguan folk melody, "Nino Precioso" (Precious Child) which became the theme song for the character of Raul Menendez in Call of Duty: Black Ops 2. In the following video, The ZOEN's teacher/guitarist Isabella Abbonizio demonstrates how to play the poignant guitar solo that opens "Nino Precioso" in Call of Duty: Black Ops II. When I first got the story-- I went through the storyline and figured out who the really important characters were. The main antagonist in the story--Raul Menendez, is from Nicaragua. He had this experience with his sister, he was taking care of her and there was this one scene where he was in a at her bedside and I thought "wow, wouldn't it be cool to find a Nicaraguan lullaby." I found this song called "Nino Precioso" which means "precious child." It's a real simple piece, but it's beautiful and worked great. There are also several other pieces in the game, action pieces or ambient pieces where we use that theme as well just to tie things together for his character--it became the "Raul Menendez Theme." For those interested in listening to the soundtrack version of Nino Precioso, give it a listen here. Sign up for lessons from Isabella: Check out her ZOEN profile. #1 Posture--Sit or Stand Correctly! Practice in the standing position in front of a hard, solid surface like glass, a mirror, or a cement wall. This will allow you to hear more of the tone as it reflects back at you. By standing, you will be able to breathe deeper to support the tone. 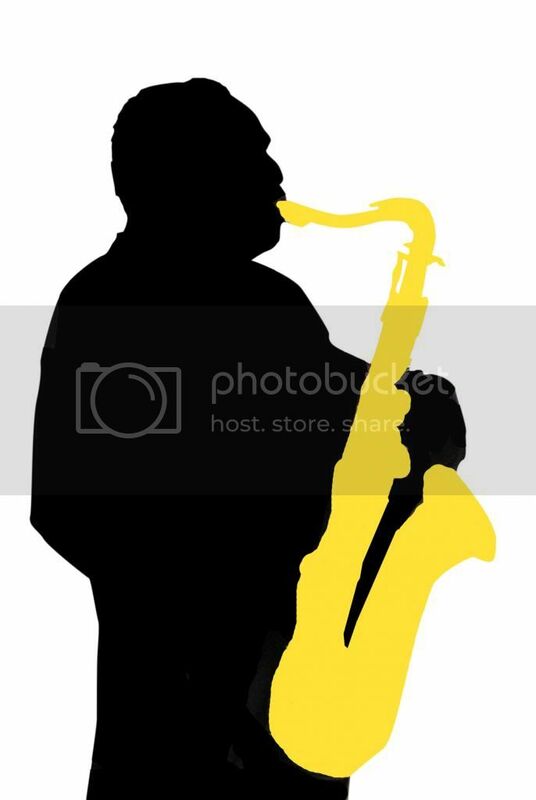 When seated, try to hold the sax as much in front of you as possible rather than to the side. Sit at the front edge of the chair with the sax suspended between your knees. This will promote better breathing as well as muscular balance between the two hands as you try to hold the sax as stationary as possible. When the sax itself moves while you’re playing, the pressure on the reed becomes uneven. Your embouchure is comprised of the many muscles around your mouth. While playing, adjust your mouthpiece so the reed is perfectly level with the floor. You absolutely must apply even pressure to both sides of the mouthpiece and across the surface of the reed. Don’t overdo it when it comes to tightening around the mouthpiece but work on building the muscular control that produces a clear tone. Practice scales and various exercises slowly at first while focusing on perfect precision of timing. The fingers need to move quickly and precisely even when the notes are long and sustained. The tongue must be perfectly coordinated with the finger movement. When you can play an exercise or scale precisely at a slower tempo, playing it fast will become less of a hurdle. Don’t make speed your most important goal--build precision first and the speed will come. Don’t practice the same music or exercise “all the time.” You need to spend time every day reading music you haven’t seen before. Sight reading is one of the most important skills and is, unfortunately, too often neglected. Sight reading skills allow you to perform in an ensemble without struggling to just find the correct notes and rhythm. It also instills intricate rhythmic concepts in the subconscious that can be called upon to enhance anything and everything you do as a saxophone player. Sight read every day. #5 Listen--As Often As You Can! Find time to listen to the saxophone players who’ve come before you. Listen to the great players from bygone eras even if you don’t really want to sound like them. They’re legends for a reason: creativity and originality. When it comes to developing your own playing style or your own “sound”, start by listening to the masters and absorbing what they’re doing. You can then be a conduit for expressing those ideas anew in the combination that results in your own identifiable sound. Subscribe to our blog! Watch for future articles from The ZOEN about specific recommendations for the areas discussed above. We’ll be looking at alternate fingerings, learning the altissimo register (the super high notes), improvisation skills and much, much more. As a sax player with 45 years of experience, as well as providing online saxophone lessons, I’m excited to share my expertise and be a contributing part of this music education community. Announcing the 2013 Musical Bucket List Contest! Send us a photo of the most creative, original or outrageous 2013 musical resolution and you could win up to $100 worth of FREE online music lessons with the ZOEN teacher of your choice. The contest ends on Monday, January 14, 2013 at 5 pm EST. To enter, simply submit your contest entry here or email your bucket list picture to admin@zenph.com with the subject line: My Bucket List Entry! Submitted photos will be showcased on The ZOEN’s Pinterest Contest Board as well as on our Blog, Facebook and Twitter. The photos that receive the most repins will be the winners. Be sure to share your submission widely! Winners will be announced on The ZOEN's Facebook page and blog on January 15th; winners will also be notified by email. For full contest details visit The 2013 ZOEN Bucket List Contest. There’s really no reason to ignore that bucket list item - especially when you can ring in the New Year with free online music lessons from The ZOEN!